﻿ What is GBIC Transceiver? GBIC is short for Gigabit Interface Converter,which is a standard optic transceiver that converts serial electric signals to serial optical signals and vice versa commonly used used to interface a fiber optic system with an Fibre Channel and Gigabit Ethernet. 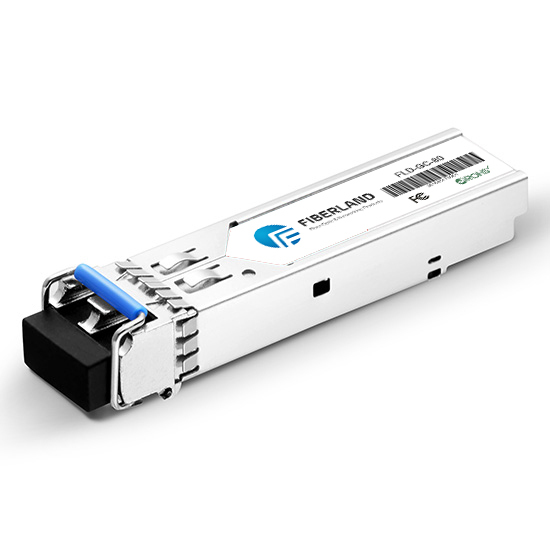 GBIC is hot-swappable transceiver with SC connector, it is also compatible with the Gigabit Ethernet definition IEEE802.3, 1000BASE-CX, Fibre Channel 100-TP-EL-S and 100-TW-EL-S inter-enclosure. It’s commonly used with some former Ethernet Switch and other network equipment to reach a long transmission. The GBIC standard is defined by the Small Form Factor committee in SFF-8053. In the GBIC MSA SFF-8053,the mechanical interface,operational description,electronic specification was defined. Classified by Distance: GBIC-T 100m on copper,GBIC SX less than 2km,GBIC LX 10-20km,GBIC ZX 80km.